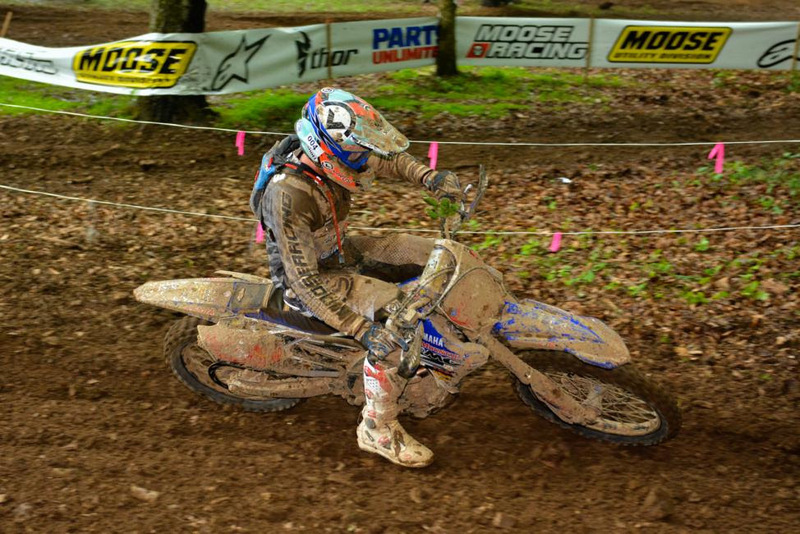 HURRICANE MILLS, Tenn. - The 2014 AMSOIL Grand National Cross Country Series presented by Maxxis, an AMA National Championship, made its return to the Loretta Lynn Ranch in Hurricane Mills, Tennessee for the 33rd running of the Parts Unlimited Loretta Lynn's GNCC. After just less than three hours of racing through the rough and rocky 11-mile course, it was Charlie Mullins who prevailed with his second consecutive victory of the season. Sunday's Round 6 began with dry and sunny conditions but things quickly switched gears as a big rain storm let loose just one hour before the start of the afternoon race. Along with the wet and slippery conditions on the racetrack, came hot and humid temperatures to add yet another variable into the mix. 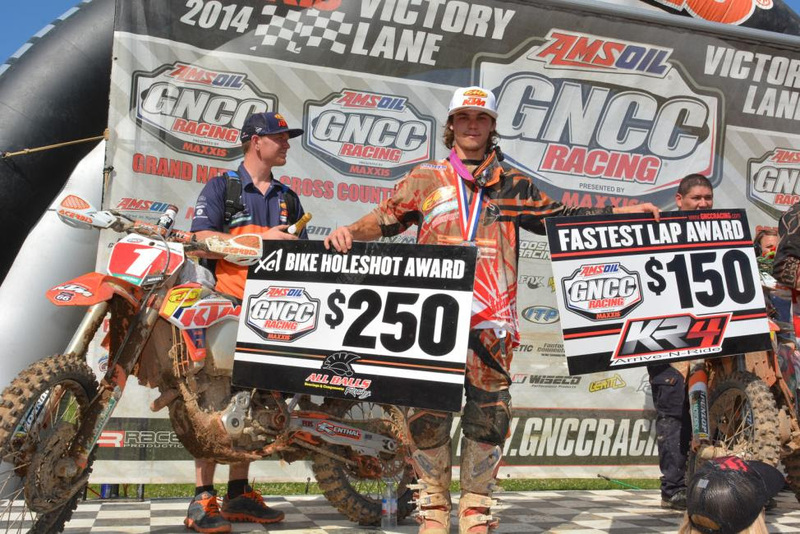 As the green flag dropped, it was Factory FMF/KTM's Kailub Russell who shot off the start to claim the $250 All Balls Racing XC1 Holeshot Award. However, Russell bobbled in the slick first turn and his teammate Charlie Mullins took over the early lead on lap one. Russell reclaimed his lead on the same lap but it didn't last for long as the reigning champion had to make an unexpected stop in the woods to change out a set of goggles. 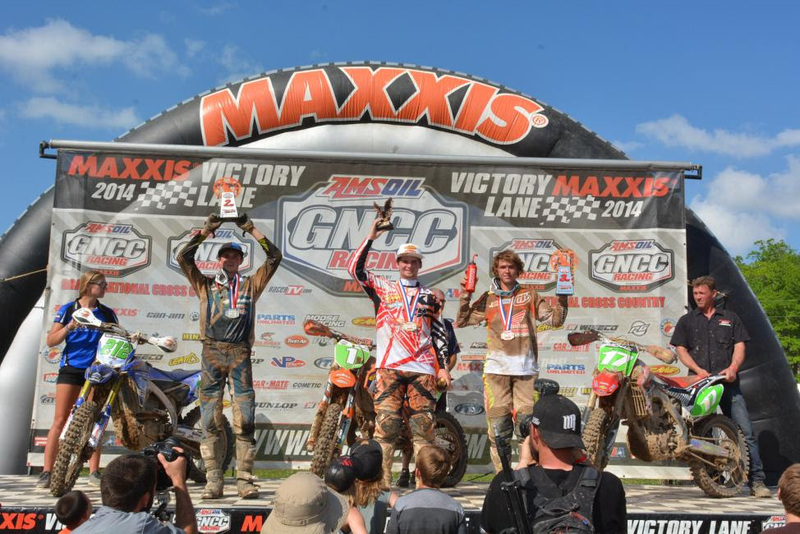 As a result, Russell fell back to fourth place, where Rocky Mountain ATV*MC/N-Fab AmPro Yamaha's Josh Strang and Maxxis/KLIM/DirtWise KTM Race Team's Jason Thomas moved into the second and third place positions. From there, Russell and Mullins took turns leading different parts of the six-lap race. Heading into the final lap, the Factory FMF/KTM duo was evenly matched and both riders were prepared for a head-to-head battle to the very end. Russell stopped in his pits to get a splash of gas and that's when Mullins capitalized to close the gap that Russell had gained late in the race. From there, the front-runners diced it out for the lead position. "On the last lap I made a little mistake and Charlie got around me," Russell said. "We battled pretty hard the next couple of corners, banging bars pretty hard and fighting for the first place position. I kind of got rebounded out of a rut and it sent me to the ground. I put on a hard charge to catch up but the damage was done." Mullins held off Russell in the final moments to capture his second straight victory of the season, finishing just six seconds ahead of the second place finisher of Russell, where he now holds a 12-point lead over Russell heading to Round 7 in two weeks. "I definitely had to work for this one," Mullins said. "That last lap we got pretty close and it was everything I had. It feels good to get a win but it's far from over. We've got the tough rounds coming up so I definitely need to stay on my game and get ready for the rocks in West Virginia." Russell once again pulled the $100 KR4 Performance Fastest Lap, this time on lap five of racing. Mullins came less than one second away from earning this honor. Strang put forth a solid performance at the Parts Unlimited Loretta Lynn's GNCC, where he began the afternoon in a favorable second place position. From there, Strang stuck by himself in the third place position for a majority of the afternoon as he maintained a comfortable gap over JCR Honda's Chris Bach in fourth. Strang made a big push at the end, where he nearly exhausted himself after almost three hours of racing. "It was a tough day today the heat and humidity played a toll on all of us. I'll take third today, considering last round's results," Strang commented. After riding inside the top five all afternoon, Bach scored an impressive fourth place overall, his best of the season, at the sixth round. N-Fab AmPro Yamaha's Jordan Ashburn was another consistent front-runner on Sunday, where he battled with Bach and Factory Husqvarna's Andrew Delong closely all afternoon. Ashburn ultimately finished fifth for the day, followed by Delong, N-Fab AmPro Yamaha's Paul Whibley came in seventh, while HR Motorsports-backed Takeshi Koikeda took eighth. 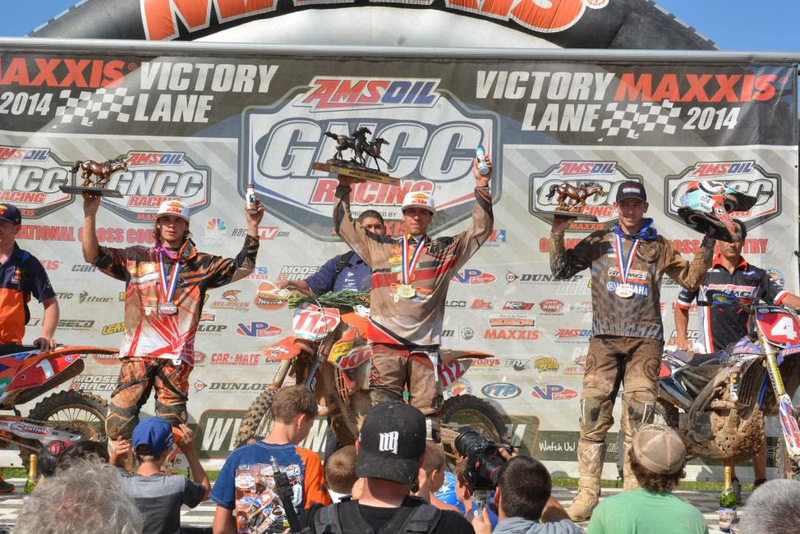 Illinois native Adam Bonneur finished ninth in the XC1 Pro class, while Rockstar Energy/WMR KTM's Ryan Sipes rounded out the top ten in the class. It was yet another shakeup in XC2 Pro Lites point standings as KTM Support rider Grant Baylor captured a big win on Sunday to reclaim the points lead after six rounds. Raines Riding University/Atlas Cycles' Ricky Russell rode hard all afternoon but it wasn't enough to stop the reigning XC2 champ this time, as he finished second place in the class. 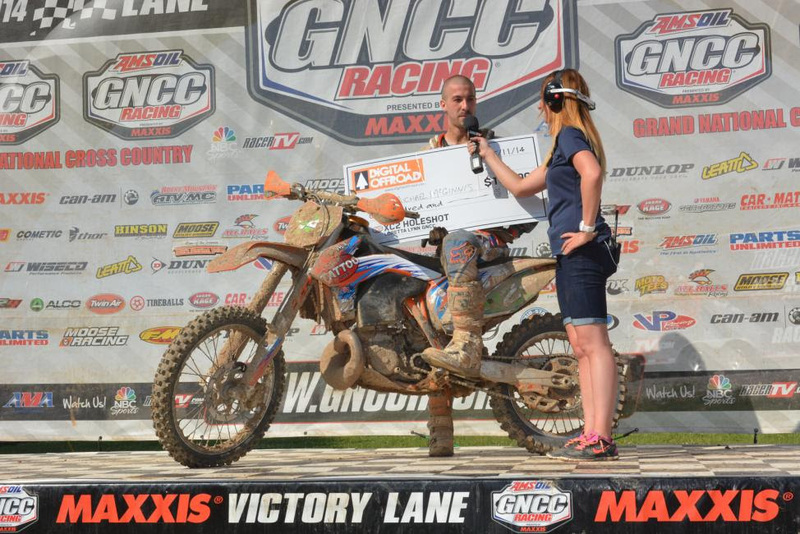 By the mid-way point, Maxxis/KLIM/DirtWise KTM Race Team's Jesse Groemm had put himself into a favorable position for a podium finish. However, RideMPS.com/AMSOIL Honda's Layne Michael joined Groemm in battle with less than one mile to go from the finish. 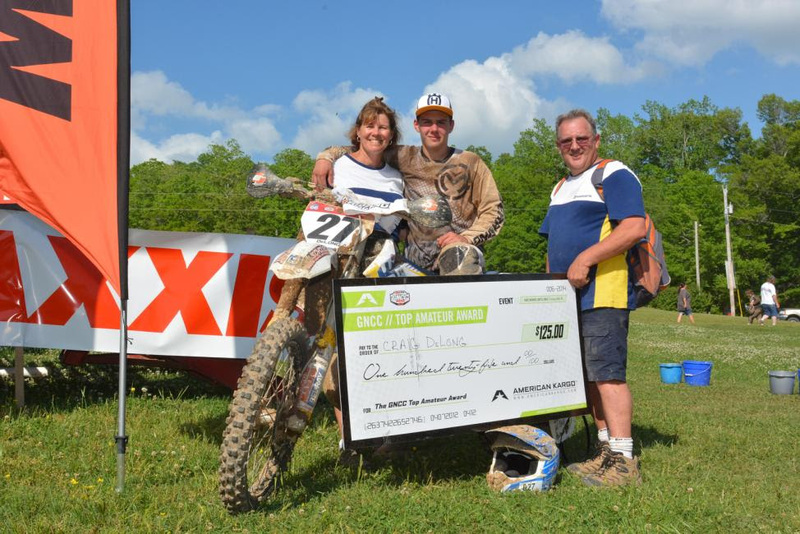 Michael put a spectacular last-minute pass on Groemm in the motocross track, where the West Virginia native captured a podium finish in he XC2 Pro Lites class. Groemm took fourth and Imperium Bicycles' Chris Douglas rounded out the top five. Pennsylvania's Michael McGinnis captured the $100 DigitalOffroad.com XC2 Holeshot Award, ultimately finishing eleventh place in the XC2 Pro Lites class. 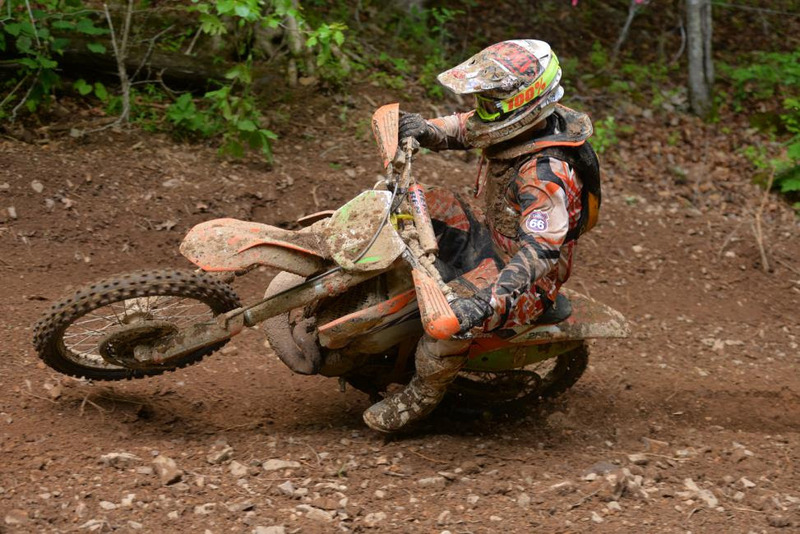 Pennsylvania's Craig Delong captured another win in the 250 A class, while earning the $125 American Kargo Top Amateur Award with thirteenth overall for the day. Masters A (50+) winner Vance Earl secured his third consecutive 10 a.m. overall win, followed by Kacy Martinez in the second place overall position, with Super Senior A (45+) winner Ricky Matteson rounded the overall podium. 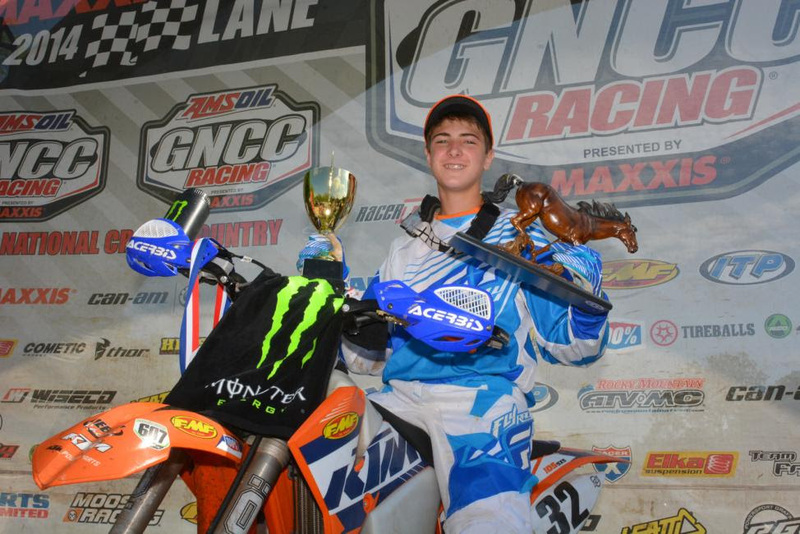 Factory FMF/KTM's Kacy Martinez grabbed yet another win in the WXC Class, as well as second overall for the day. 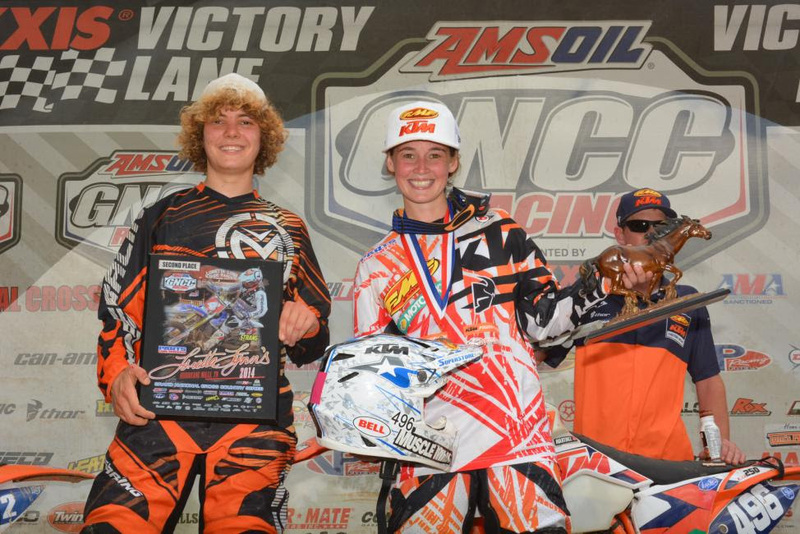 Sara Baldwin made her return to the WXC podium this season with a second place in the class, while N-Fab AmPro Yamaha's Jessica Patterson finished third in the class. In the 8 a.m. Youth race, South Carolina's Cole Mattison secured his third consecutive victory at Round 6, grabbing yet another Super Mini (14-15) class win along the way. Tennessee's Sam Thurman captured a second place finish in front of his home state crowd, while Alabama's Kyler Godwin rounded out the overall podium with third place in the Super Mini (14-15) class. 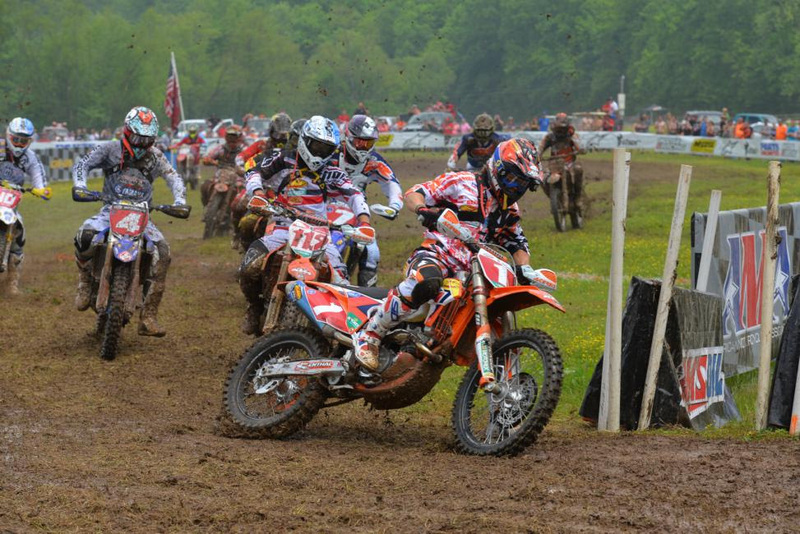 The 2014 AMSOIL Grand National Cross Country Series resumes May 24 and 25 with the Mountaineer Run GNCC in Masontown, West Virginia. 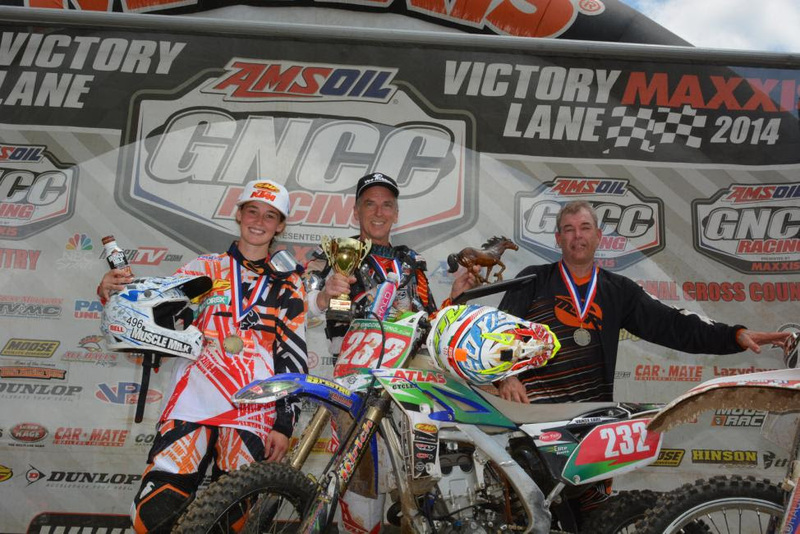 For more information on the series, visit www.gnccracing.com.